What happens when you combine two curious cats, some delicious Brie, Vélib bicycles, and one mysterious surprise? 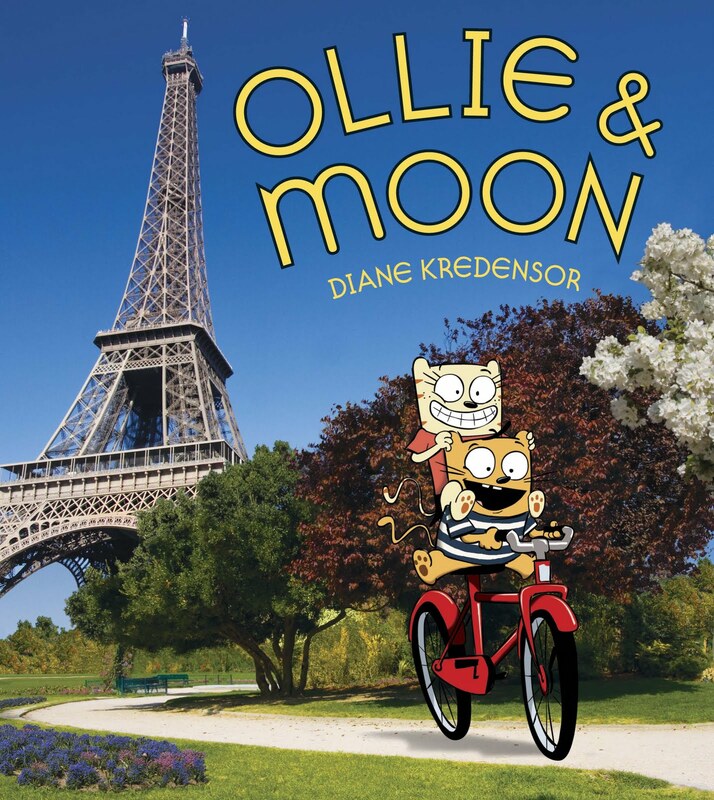 You get Ollie & Moon, a Paris postcard-perfect children’s story from author/illustrator Diane Kredensor and photographer Sandra Kress. La Mom’s friends over at Random House asked the French Fries to test-drive the brand-new book. My mini literature critics gave Ollie and Moon an enthusiastic thumbs up, giggling over cartoon characters exploring Parisian landmarks they know so well. La Mom had the chance for an exclusive interview with Diane. Read on to discover what she loves about Paris and what’s up next for Ollie & Moon. La Mom: What inspired you to write a children’s book about Paris? Diane Kredensor: One of my favorite things to do is travel. And who doesn’t love Paris? It’s rich with history, art, delicious food, and colorful people. Almost anywhere you walk, you’ll find a great photo opportunity. Ollie & Moon came about while I was visiting my dear friend Sandra in Paris. Often, being in a new location stirs up the creativity. I’d been toiling with two characters, two best friends, and I was wondering what would happen if they were in Paris together. I wanted to create characters that had child-like qualities that kids could relate to, but also set them on a backdrop that might be a place a child has never been. 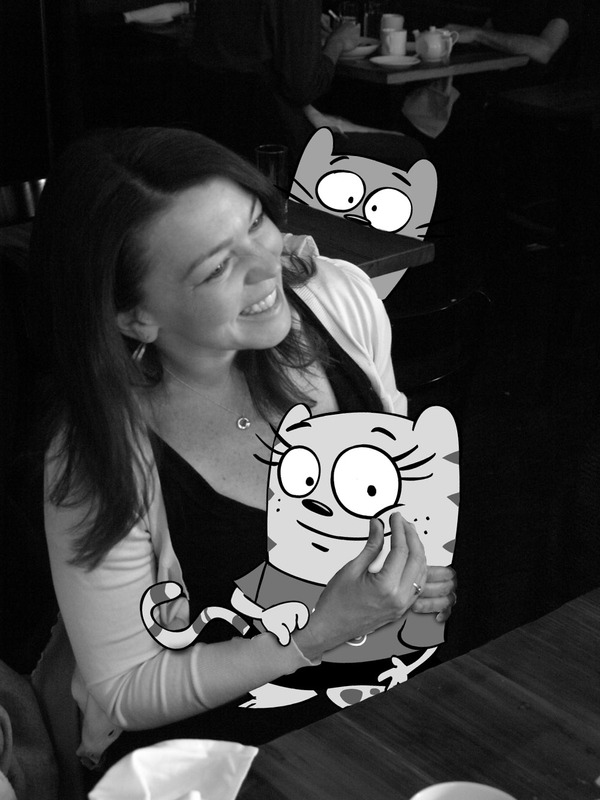 LM: My kids were intrigued by your cartoon chats. How did you come up with the Ollie & Moon characters? DK: We’ve got a couple of chats at home, Stu and Ethel, and they provide us with endless laughter. So drawing them as cartoon characters came pretty naturally! In fact, every time Ethel walks into a room, Stu jumps out of the shadows and pounces on her – surprise! And Ethel peeks around corners very carefully, trying to guess when Stu’s going to pounce. They must think it’s hilarious because they do it all day long. So their personalities started to form like that—best cat friends. One of them LOVES to give surprises...And the other one LOVES to guess surprises. And voilà! That’s how Ollie & Moon came to be. I changed the names from Stu and Ethel to Ollie and Moon to protect their privacy. Stu has an aversion to paparazzi. LM: Why did you decide to merge them with real photos instead of an illustrated landscape? DK: There are already a lot of beautiful picture books with gorgeous illustrations of Paris – Adele & Simon and Madeline, to name a few. I’ve always wanted to try illustrating cartoon characters over photo backgrounds of real places around the world. It has a kind of postcard quality to it that I love. It also gives kids an opportunity to see the real place. Sandra makes her living as a photographer, so when I sold the idea to Random House, it was a natural fit to ask her to shoot the backdrop for Ollie & Moon. LM: Where’s your favorite Parisian hangout? DK: My favorite hangout used to be at Sandra and her husband Olivier’s, apartment. But now that they’ve moved out of Paris, I’ll need to find a new favorite place! LM: What’s the most magical thing about Paris for you? DK: That’s tough to answer! There’s not just one magical thing about Paris. I love that it’s old, but incredibly charming. As an artist, I love to walk around (especially around Montmarte) and imagine all the great artists and writers who walked the same streets. I love the old cafes and bistros, the gardens, and even the cemeteries. I love the river Seine and Notre Dame. I’m more a fan of the old nostalgic Paris than the modern city if you can’t tell. I guess you could say I find the Left Bank much more magical than the Right. Oh, but as far as modern, the Vélib bike sharing is brilliant! We’re finally catching on here in New York. So to answer your question—the authentic, old Paris is what I find most magical. And, of course, the cheese! 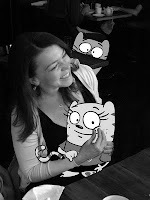 LM: Are there any upcoming Ollie & Moon adventures? What's next? DK: Definitely! These little cats LOVE to travel and there’s a whole big world out there for them (and us) to see. I just signed my second book in the series with Random House and it hits bookstores in summer 2012. In the second book, Ollie and Moon are in New York. I couldn’t resist bringing them to my hometown! 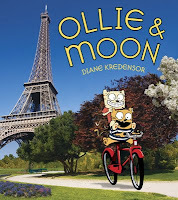 My plan is to continue to take Ollie and Moon all over the globe, but having the new locations serve as a backdrop, while the story is about a kid-relatable issue between two best buds. In the second book, Moon bets Ollie that she can make him laugh. So they travel all over New York City, following Moon’s silly antics as she tries to make Ollie laugh and as he does his best to hold in his laughter so he doesn’t lose the bet. Just like with Paris, I thought it would be a great way for a child who has never been there to be able to explore a new city alongside Ollie and Moon. And there are a few new words to learn along the way—”hi” in Chinese (they pass through Chinatown) and also some New York slang! I’m also currently developing Ollie & Moon as an animated TV series with Random House Children’s Entertainment. So the plan is to take these guys all over the world! Merci, Diane! Check out www.ollieandmoon.com to join them on their travels! Thanks for all the votes at the Top 25 Expat Moms list on Circle of Moms! 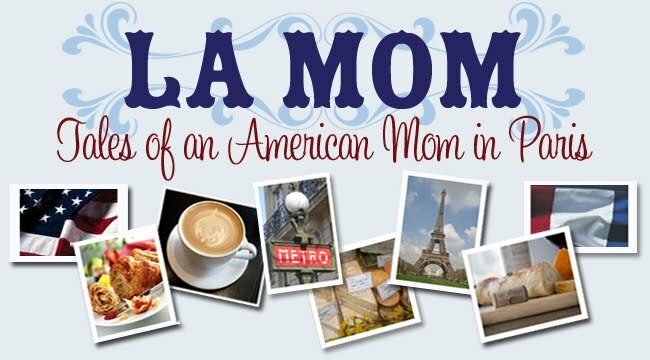 If you like La Mom’s Paris, stop by here and vote by June 6, 2011 at 5PM PST (you can vote once every 24 hours). Merci mes amis! Le livre est-il écrit en français ou anglais? Always looking for great new books for the kiddie! Thanks for the recommendation! Especially when you are a writer, it's just an itch that needs to be scratched, isn't it? I just discovered your blog & will look forward to visiting again. @Mandy, it's in English -- perfect for giving little ones the travel bug at an early age. @Alecia & Jessica, thanks for stopping by! I love it! As an "adult", my equivalent book is Chronicle's "Betty and Rita Go to Paris". It always makes me giggle. The cartoon strip should just be the start. How about a coffee table book of your blogs? While I enjoy the occasional interview you post, it's the day to day stuff like marketing or going to the hair dresser that is really the heart of a La Mom post. As always, looking forward to the next installment!